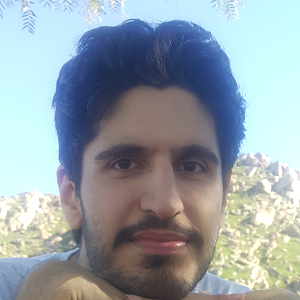 AmirAli Abdolrashidi – Welcome to my homepage! It has been a defining era for the intelligent electronics industry; a progress that will only speed up exponentially. Twist and turns happen, but the growth itself shall never stop. Just like the branches of a tree which need guidance to grow optimally, so do different fields of science, new and old, need to be driven forward continuously. Now, when machines are getting faster and smarter by the day, it is up to the new generation to maintain the trend and unlock more secrets for the brighter future. When I was in my early youth, I liked astronomy a lot. Being in Tehran, the capital of Iran, it was not easy to see the sky very clearly, but there were many books, pictures and CDs that I could use instead. That was until we had a trip to a small village nearby. At night, I looked up at the sky and saw the stars crystal clear for the first time. In one word: amazing! It was quite breathtaking and enjoyable to watch. In that moment, the greatness of the universe filled me. It was as if my gaze was locked to the celestial bodies, and all I could do was to take in all the view for a few minutes. It is still one of the most memorable moments of my childhood. Later when I thought about it, it hit me: that the world still holds great mystery and to uncover it all is very likely to need impossibly great effort from everybody living in it. Yet, it is still worth trying to do so to the best of ability, and anything demystified about this world is a blessing for all mankind which can be utilized for the betterment of ourselves and of course, our future generations. Having finished my high school at a special institute for exceptional talents (NODET), completed my undergraduate period in Electrical Engineering at Sharif University of Technology, the best engineering university in Iran, and acquired my master’s degree from New York University at Polytechnic School of Engineering, one of the oldest engineering schools in the United States, I am now a Computer Science PhD candidate at University of California, Riverside, and specialize in the field of GPU architecture and simulation. I have come a long road, but a longer path still lies ahead and so much more work needs to be done!